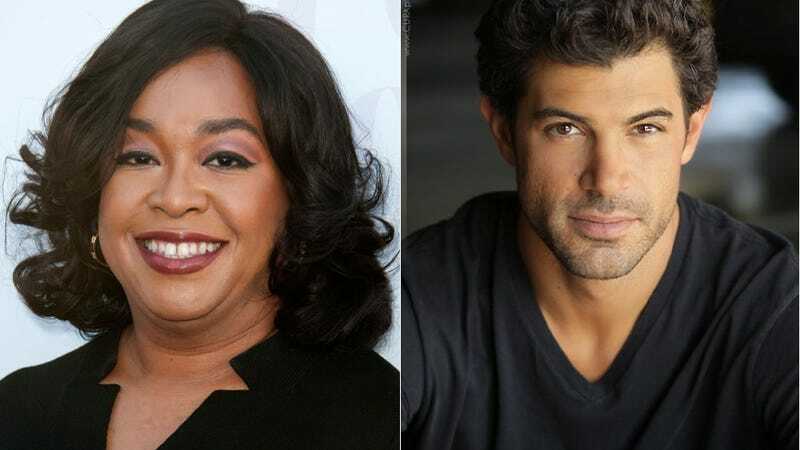 There's a new hottie in Shondaland and he just may have what it takes to stand in the pantheon alongside Fitzgerald Grant, Jake Ballard, McDreamy, McSteamy, Dr. Jackson Avery, Nate Lahey and Frank Delfino. Meet Damon Dayoub from the new show The Catch. Shonda knows what we like. The Catch is described as a thriller about Alice (The Killing's Mireille Enos), a woman about to get married and about to get conned. Unbeknownst to her slippery fiance, the heroine — who investigates fraud for a living — is not all she claims to be. And when the fiance's expertly planned con collides with her perfectly constructed lies, they plunge into a dangerous game of cat and mouse. The show is based on the novel by Kate Atkinson. money from Alice before taking off to be with his wife, Zoe. The character is described as cunning and deceitful who essentially only cares about himself. Yeah, yeah, that sounds good but where is the part where Damon takes his shirt off for no reason like Ballard and Lahey on Scandal and How to Get Away with Murder, respectively? I need my man chest on Thursday nights Shonda! Images via Getty and IMDB. Contact the author at Hillary@jezebel.com.